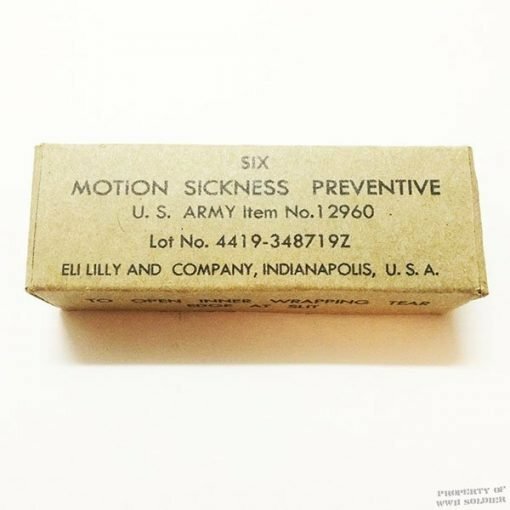 This Motion Sickness Box is a WWII Reproduction. The Motion Sickness Box is empty. The Motion Sickness Box is Museum quality and ideal for Movies, Theatre and Reenactments.